There’s nothing fun about having unwanted house guests in your home, especially when they’re the creepy crawlers that are supposed to be making a home in nature. Luckily, there are plenty of pest control companies throughout the Englewood area, however, ours is different. Colorado Pest Management is different from other pest control companies because we offer integrated pest control strategies into the solution for your problem. That means that rather than walking in and spraying highly toxic chemicals throughout your house, we find solutions that will yield long-term results while taking the scenario into consideration and, most importantly, while keeping you and your family safe from the harms of chemicals. Now, for many people extermination is intended to be a very toxic procedure, so that these insects don’t come back. But have you ever really thought about how quickly these chemicals are able to kill insects? If they’re capable of doing that, what does it mean for them lingering in your home? 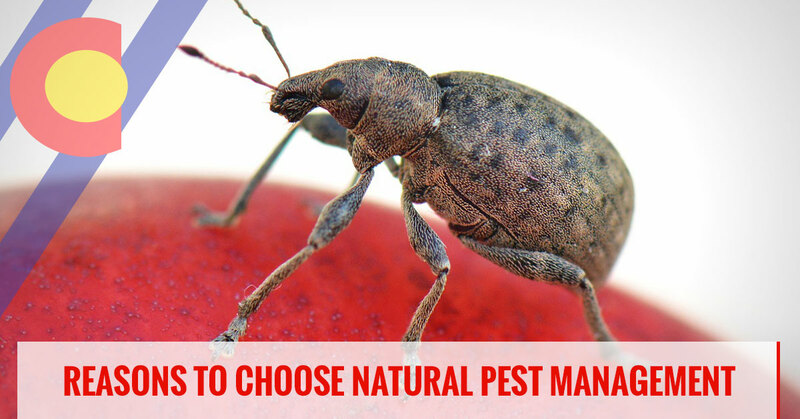 Today’s blog post is going to cover just a few of the most basic reasons that working with an organic pest control company is beneficial and one of the best choices that you could make. We mentioned above how powerful the chemicals that are used in a standard pest control process are, and maybe it’s just something that we don’t spend enough time thinking about. When you’re putting these chemicals in your home and letting them spread throughout, do you really believe that a little ventilation will be all that it takes to keep your family from coming into contact with them? These chemicals, when disbursed into your home will land on the surfaces of items, linger in the air and soak into your fabrics, which means that anyone coming into contact with those parts of your home will then also be exposed to the chemicals. Of course, they’re designed to hurt pests so they won’t be nearly as dangerous for you or your pets, but the exposure can have some crazy side effects when there is that direct exposure, even if it isn’t as immediate and scary as death. The primary benefit to having integrated pest control be the answer to your problems is that this strategy provides long-term results. When we look at the pest control issue that you’re having, we take a variety of items into consideration so that we can find a solution that puts your best interest first. If there is a way to remove the pests from your home, without harming them, then we’ll do our best to do so. If there is a change in the culture that needs to be made to make it a less appealing culture for the insects, then we’ll work to determine how we need to go about doing that. Whatever it may be, we get to the root of the problem so that we can create a solution that will last long-term. On the opposing side, chemicals are a quick fix to the issues with pest control that arises. If you have tons of insects in your home, of course, you can have the chemicals sprayed so that it kills them off all at once, but it won’t be dealing with the issue that is attracting them there in the first place, which means it’s just as easy for them to come back. Organic pest control is one of the best ways to handle issues that you’re having with pests in your home. It truly does prioritize the well-being of you and your family but also manages pests in a humane way. While they aren’t any fun to have in our homes, insects and the common pests are all a part of our ecosystem, so we need to be able to find a way to manage all of the issues at hand with solutions that will last longer than a couple of months. 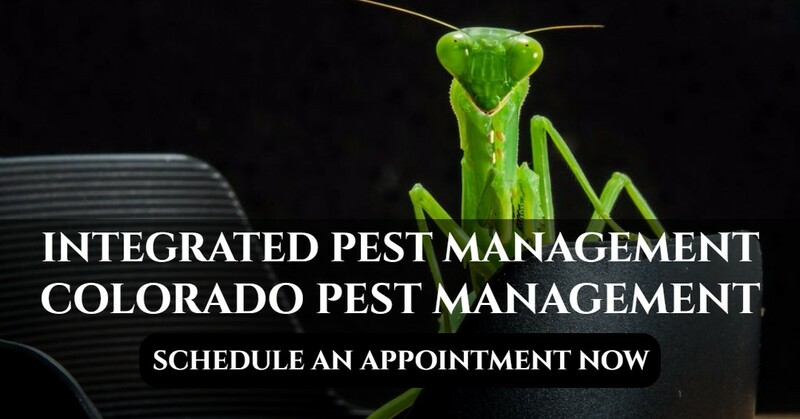 If you’re interested in receiving high-quality pest control services, then it’s time that you contact Colorado Pest Management. We are familiar with the Englewood area and the many situations that can arise in the homes and businesses throughout the area. Contact us today for a quote on your services and we’ll go ahead and get you scheduled as soon as possible.